Your event will be sending you important information through your Sports Thread account. You need to activate your account with the activation Email we sent you. If you do not see it check your spam. Once you activate your account, download the Apple App on your iPhone or go to Sportsthread.com on your Android or computer. parents and fans. 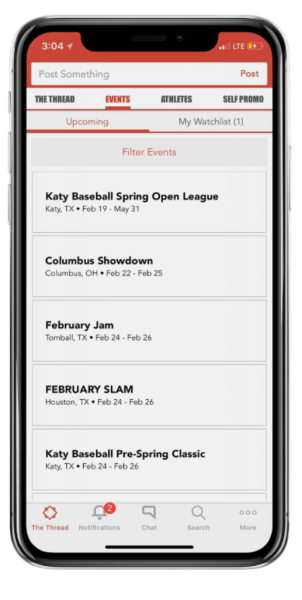 Tournament and league organizations nationwide have endorsed Sports Thread as their go-to communications platform. Sports Thread enables tournament, club and league participants to stay up-to- date on important information about practices, games, etc. 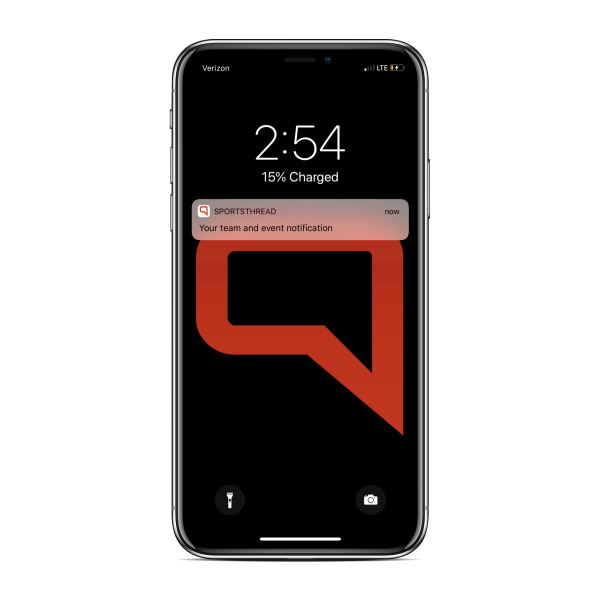 Our software makes it easy for tournament organizers to communicate directly with everyone involved in tournament play using push and SMS notifications and group messaging. Additionally, student-athletes can create a personal player profile-- Athletic Digital Identity – to showcase their performances, be discovered and promote themselves to coaches and colleges nationwide to secure athletic scholarships. detailed information on target colleges, take Virtual Tours of campuses and athletic facilities, tap into college sports programs social media feeds and learn about college recruiting rules and regulations.